Call for the North Las Vegas Detention Center Inmate Search. Find anybody in the North Las Vegas Detention Center or request to be on the inmate watch list for notifying you if the person you are looking for is finally in the system. Bail information: What it cost to get them out of the North Las Vegas Detention Center now. 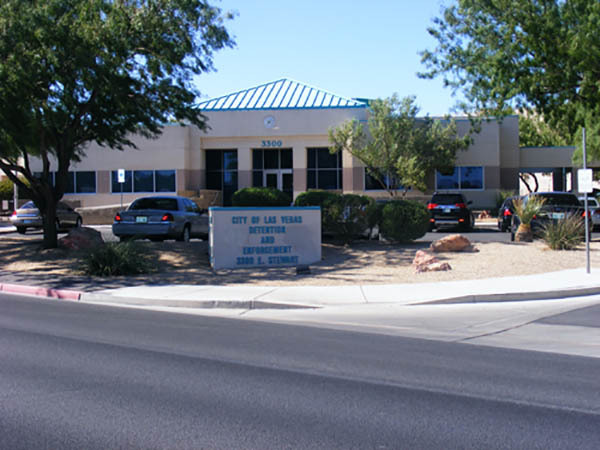 The North Las Vegas Detention Center has shut down due to budget restraints in the midst of 2012. Almost all correctional officers were laid off and some where reassigned to other Detention Centers. All people that get arrested in North Las Vegas will be held at the Las Vegas Detention Center or the Clark County Detention Center. Here you can find more information about the two local detention centers. The large buildings and imposing towers span over an entire city block right behind the Golden Nugget Casino. With that said, the main lobby is open 24 hours a day. However, the bond posting window will close every day from midnight until 8 in the morning. If you want to get someone out of the Clark County Detention Center, you must post bail before midnight. You can perform a Clark County Detention Center Inmate search by using our Inmate Search Database. Please note that the booking process can take up to four hours. The inmate will need to complete the booking process, or they will not show up in the system. If you need to find an Inmate right now, please call us. Our friendly staff will find them and be able to provide bail information, charges and next court date. 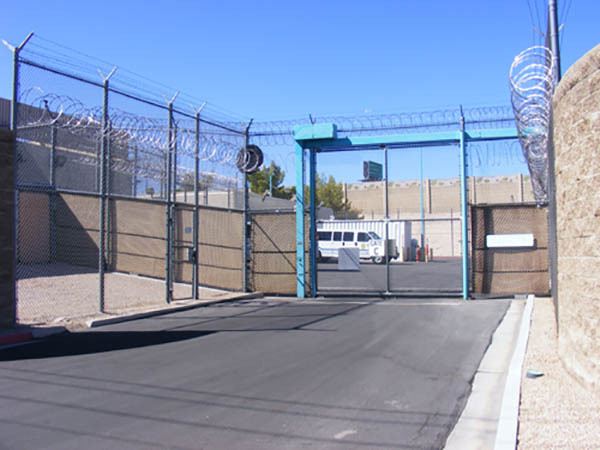 The bail window at the Las Vegas Detention Center is facing Stewart Street. It is open for inquiry and a for a Las Vegas Detention Center Inmate search, 24 hours per day. There is plenty of parking right on Stewart Street in front of the detention center bail window. Here you can find out if your friend or loved one is under arrest. You can also find what their charges are and bail amounts, as well as next court dates. Locate the “Last Name” search bar at the North Las Vegas Detention Center website and type in the first two or three letters of the inmates last name. This is a broad search and will give you a list of inmates starting with those letters in their last name. If there are to many search results you may want to add a few more letters or type in the complete last name. At the North Las Vegas Detention Center website locate the “Inmate ID Number” search bar and type in their number. This should get you immediate results for the person you are trying to locate. If there is no match you may want to check that you typed in the correct ID number. Call right now to search for a North Las Vegas Detention Center inmate by phone. A friendly operator will answer 24 hours per day and can immediately find any inmate in the North Las Vegas Detention Center or any other Las Vegas jail. This is the easiest and least frustrating way to search for any inmate. You finally have found your friend or loved one inside the North Las Vegas Detention Center and you do not know what to do next. The following options will help you in making a decision on what to do with the inmate. The best and fastest option to get someone out of Jail is to bail the inmate out of the North Las Vegas Detention Center. You can immediately start this process by calling eBAIL. Our friendly staff will walk you through the bail bond process and answer all your questions. The other option is to wait until the next scheduled court date. Once an inmate gets booked into the North Las Vegas Detention Center they are automatically given a court date usually within 48 hours. This means that the inmate has to sit in Jail and wait until the court date to see what the judge decision is. The judge can release the inmate, lower the bail amount or raise the bail amount all depending on the strength and circumstances of the case. Most of the time the judge keeps the bail amount the same and the inmate just lost 48 where he could have bailed out of jail. The last option is to do nothing and leave the inmate in North Las Vegas Detention Center. You can visit them at the North Las Vegas Detention Center during their visitation hours, write them letters and also put money on their books. Call right now to find and bail your friend or loved one out of the North Las Vegas Detention Center. Time is of the essence and the release from Jail process only starts once the bond has been posted. You need to act now!